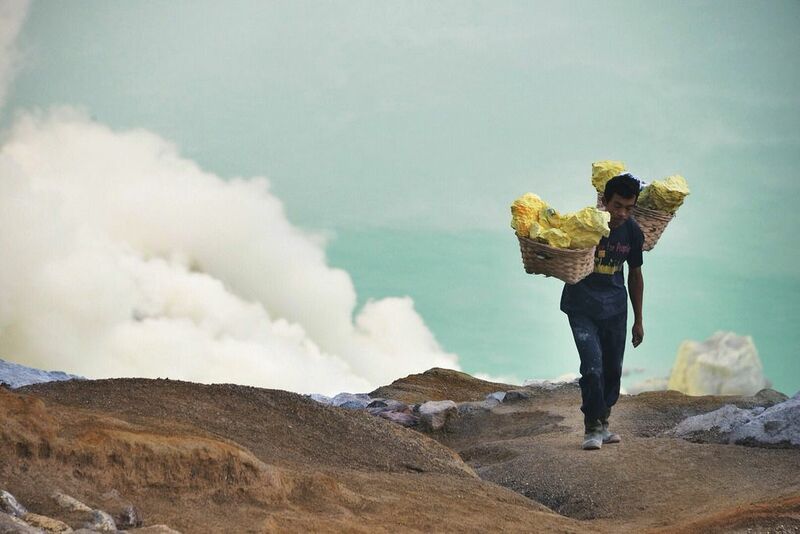 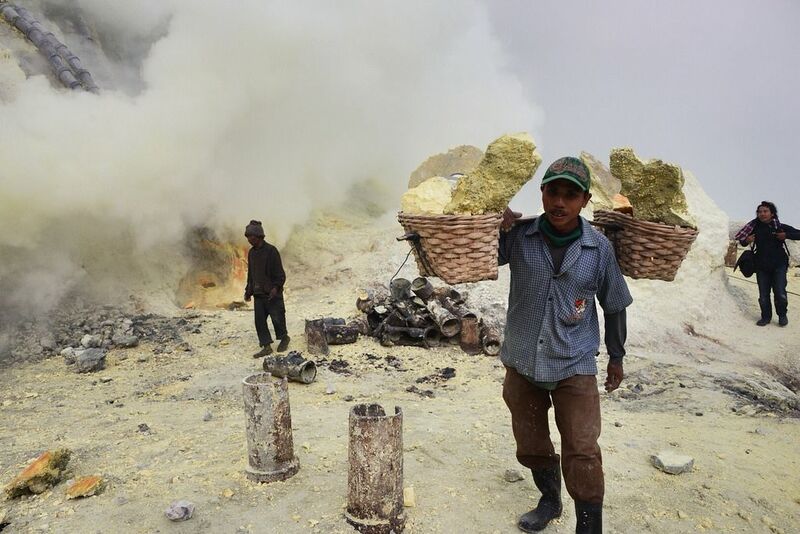 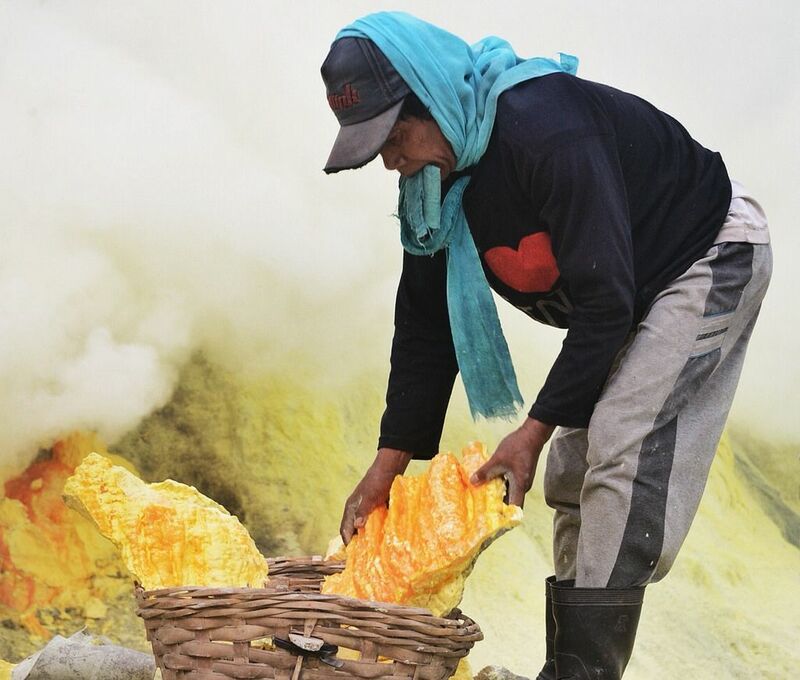 Kawah Ijen volcano is one of several volcanoes located in the 15km diameter Ijen Caldera in E Java, Indonesia. 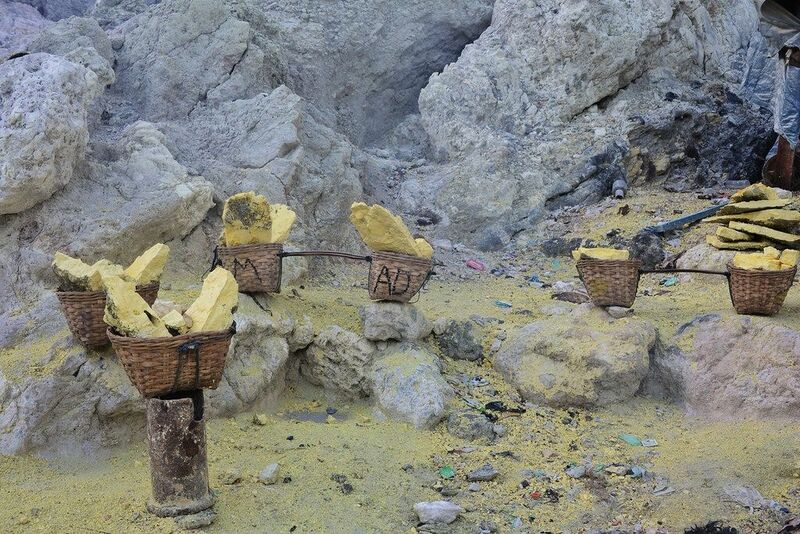 The active crater measuring 950×600 m and it harbours a large warm acidic crater lake and an active sulphur mine. 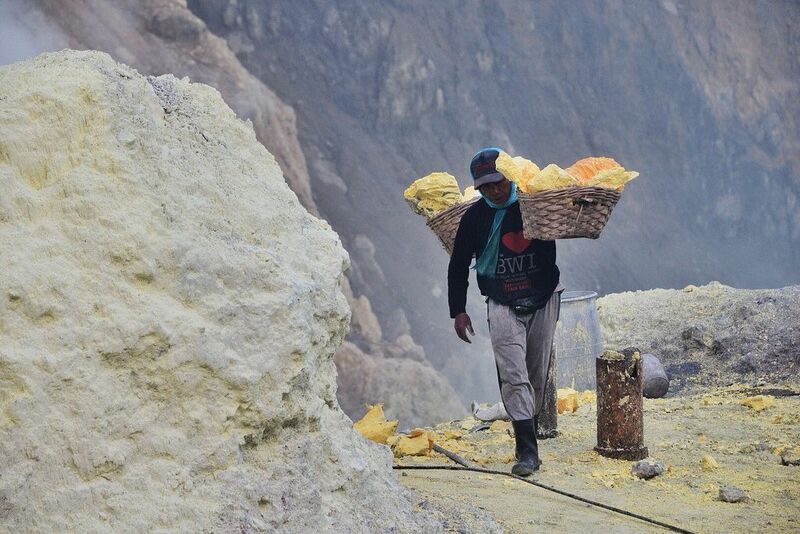 The volcano emits gases through fumaroles inside the crater, and local miners have tapped those gases to earn a living. 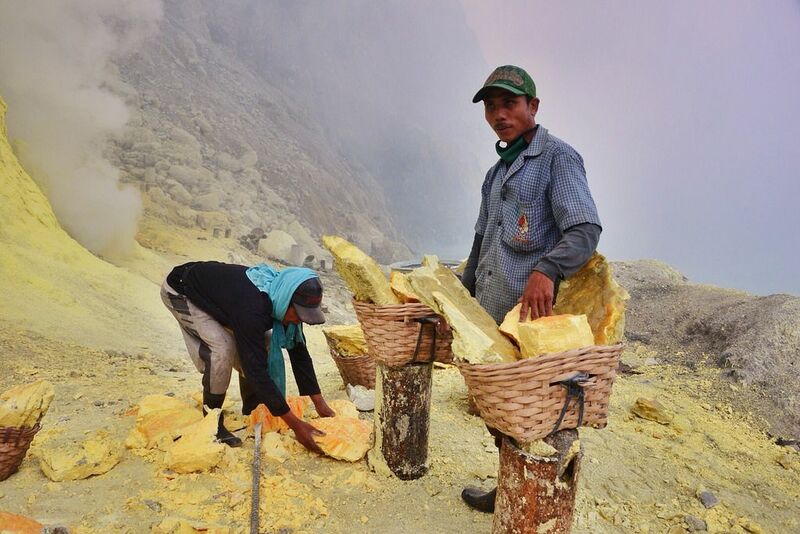 Stone and ceramic pipes cap the fumaroles, and inside, the sulfur condenses into a molten red liquid, dripping back down and solidifying into pure sulfur. 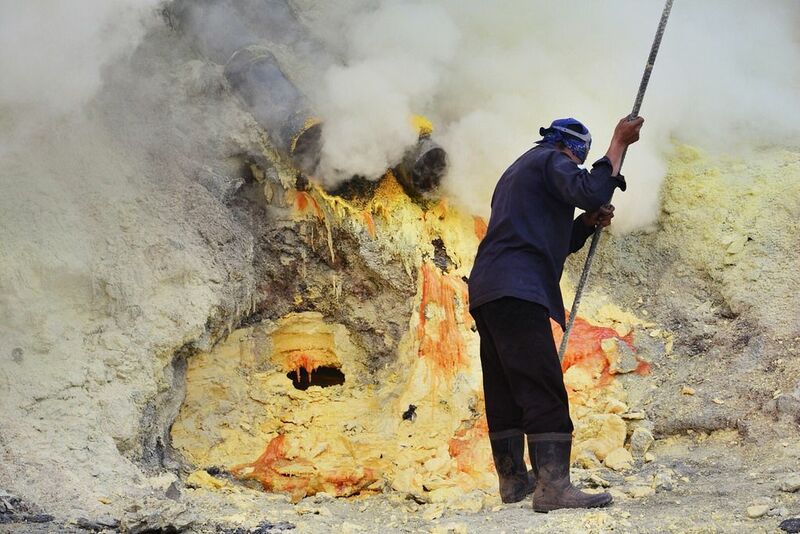 Miners hack chunks off with steel bars, braving extremely dangerous gases and liquids with minimal protection, then load up as much as they can carry for the several kilometers to the weighing station. 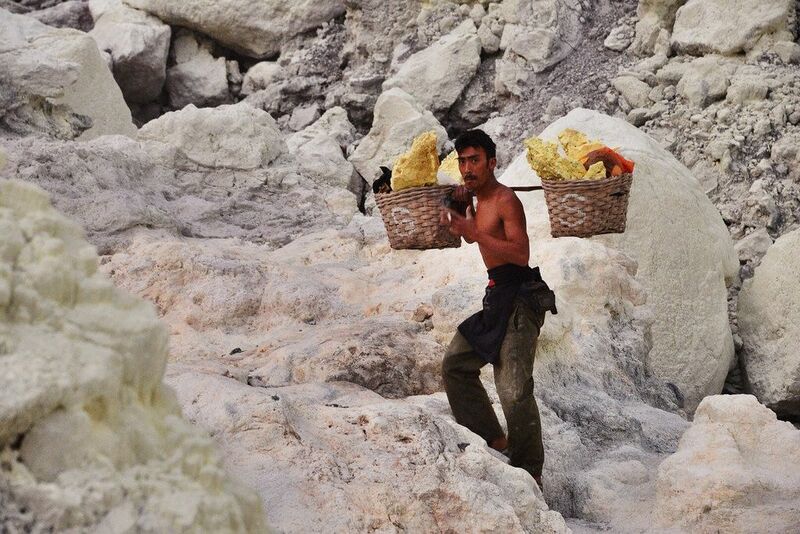 Loads can weigh from 45 to 90kg, and a single miner might make as many as two or three trips in a day. 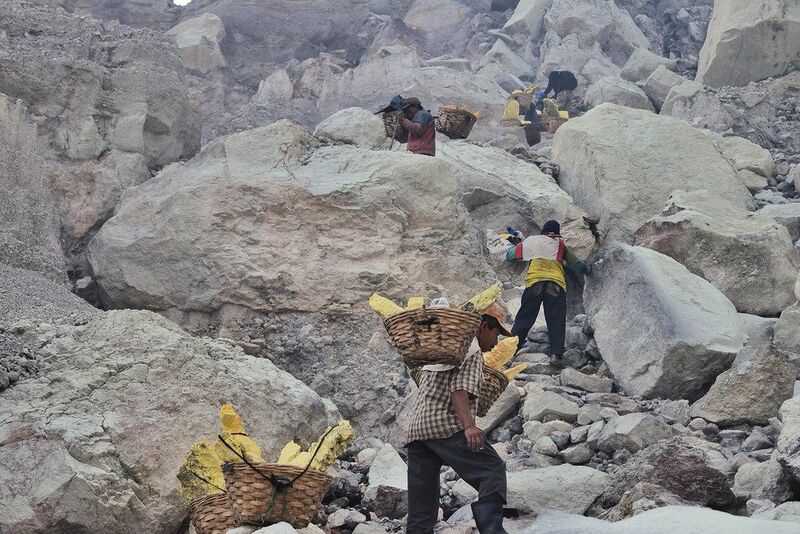 At the end of a long day, miners take home approximately $5.00 usd.